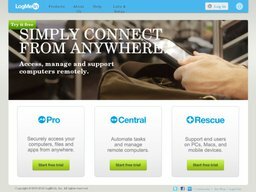 LogMeIn is a software and IT service that specializes in giving users remote access to their computers and other devices. The NASDAQ publicly traded company is based in Boston, Massachusetts, United States, and serves both large business clients and individuals. Its products can be accessed at LogMeIn.com. What makes the site particularly appealing is their range of offers and deals, which you can redeem with LogMeIn coupons. These digital codes can all be found here at Coupofy, so you never have to waste time searching the web. As of 2014 it makes over $200 million in yearly revenue from its various programs and services, employing under 1,000 people. Michael Simon currently serves as CEO. LogMeIn was founded back in 2003 as 3am Labs and went public in 2009. Today they serve over 200 million clients, with offices in the US and Europe. LogMeIn markets a broad range of Remote Access and Management tools, under three core categories: Pro (allowing you to access your devices and files anywhere), Access (remote control over apps with password protection), and Rescue (end user support for PCs, Macs, and mobile devices). 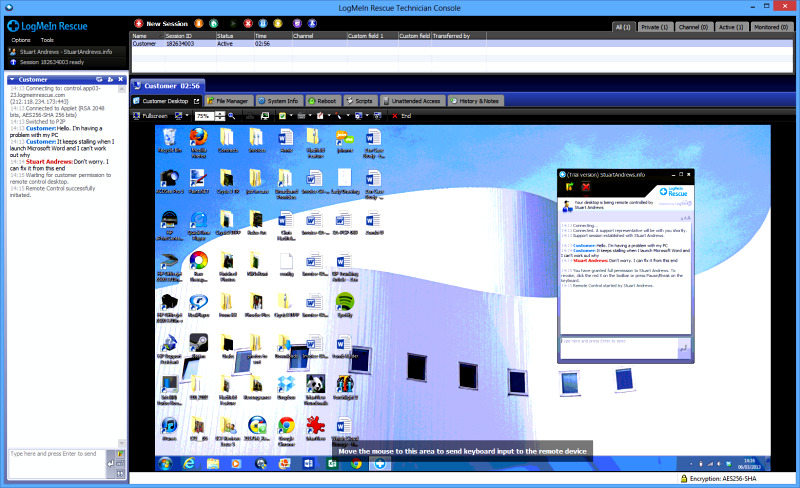 Other tools include LogMeIn Backup, which will safely backup your data remotely, LogMeIn Hamachi that allows you to create LAN networks of virtual private servers, AppGuru an app management solution, Cubby which allows IT teams to stay connected while working remotely with a cloud storage solution, and many others. LogMeIn offers free trials of many of its services, so you do not have to commit right away. You can also get discounts with various LogMeIn coupon codes. LogMeIn accepts payment through the use of a valid credit card. Payments can also be accepted through Paypal or direct debit. The subscriber may either choose to subscribe monthly or yearly. Before making payment be sure to enter a LogMeIn coupon code if you wish to make savings. All of LogMeIn's software and services are provided digitally so nothing has to be shipped. You will be able to download programs securely from within your account of through an email confirmation link. LogMeIn does not offer refunds due to the nature of digital products, however they do offer free trials so you can test of their services are for you. Many of their solutions are charged by subscription which you can cancel at any time and get discounts, by using LogMeIn coupons. @MouhamadAlem I'm sorry no, we do not.